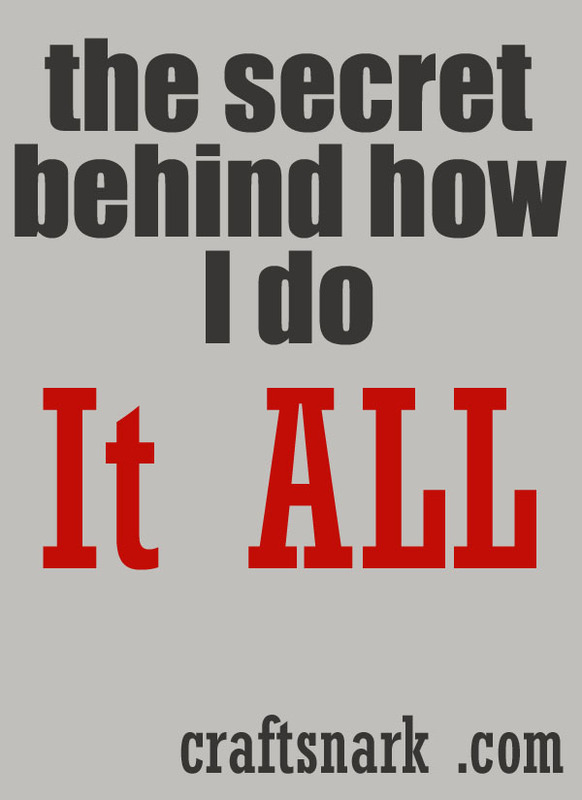 People have gotten into the habit of asking me how I do it all. 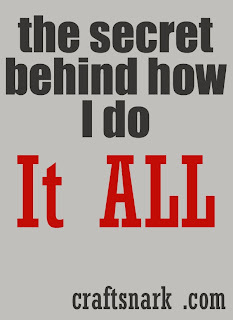 For those of you who don't know me, let me tell you what "it all" is... I have a husband and two young boys ages 5 and 18 months. I run 2 other fairly successful blogs. I have a couple more blogs in development. I work for an agency to run blogger campaigns. I freelance write for one of the top 10 sites in the US. I craft. I sew. I sew a lot... this year I have been cranking out quilts at an average of 2 a month. I'm totally serious. A couple were wall hangings, but most were not. I teach classes at a local quilt shop. I'm on the board for a local mom & child organization. I have joined the PTA. I travel out of state almost every month. Sometimes more than once. Often with the kids in tow. There is probably more, but you get the picture. I don't homeschool. Yes, there are a lot of amazing bloggers out there who homeschool their kids. I bow down to their greatness. There is no way that I could manage pulling together a curriculum for my Kindergartener, and teach him the basics he'll need for the rest of his life. I enlist professionals for that. I don't sleep a lot. 8 hours is a luxury that I rarely get. 4-6 is my usual night, and at least one of those hours is usually in my chair where I pass out while at the keyboard. Which makes for some really funny posts. Did you know that I can sleep-type. I can, and when I read it later, it is hysterical. My dishes, laundry, and other miscellaneous housework are never caught up. Even when my Mother in Law comes over. I spend two days cleaning, and there is still one room that everything gets shoved into and the door gets closed. And locked. You know - just in case. My kids watch TV. Not a ton, but more than I would like. Lucky for me they like the more educational stuff, so my mommy-guilt is fairly low on this point. I don't cook every night. Unless you count microwaving chicken nuggets, and putting them on a plate with apple slices and yogurt. Because if that counts, I'm a total gourmet. The wait-list to get a table at Chez-CraftSnark is about as long as it takes for me to clear off all the mail, assorted crafting supplies, and whatever was left on the table after breakfast. So now you know my secret formula. How do I do it all? I don't. Well I AM RELIEVED to know that I'm not the only one who runs a life like that! People ask me how I do it all and I feel like such a fraud......"Oh you know...by not doing the dishes 'til we have nothing to eat off of, and choosing to do laundry instead of running around naked because my dresser is empty." Ahhh well. Nobody can do it all I guess. I just found your blog today- HURRAY!- and noticed you haven't posted since Halloween- BOO!- and then I read this post "How I do it all" and am back in the HURRAY Zone. I can't wait to read more! Stay well & creative and I will stay tuned.